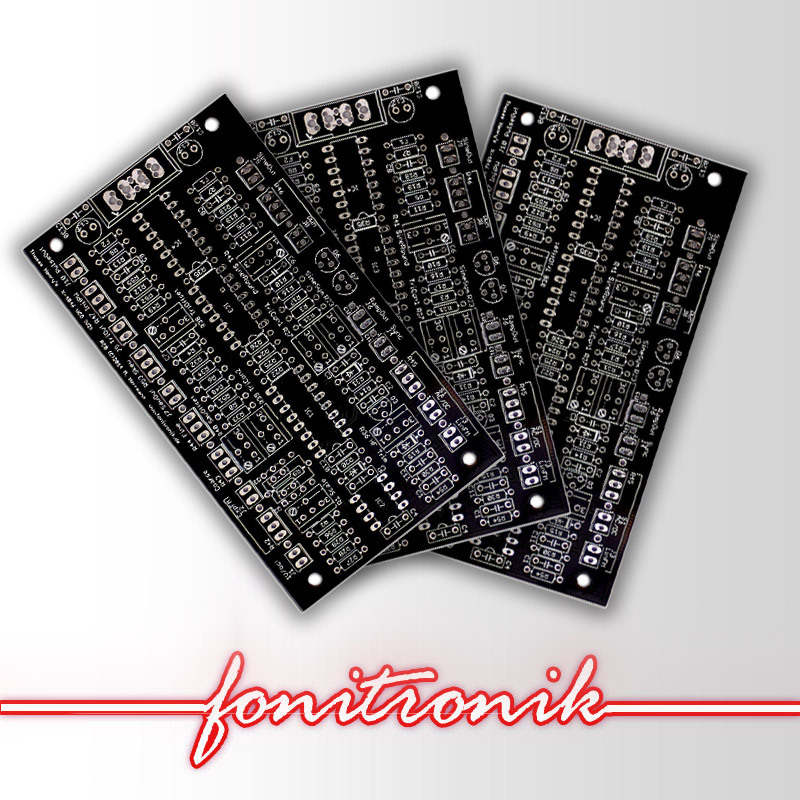 You cannot add "Fonitronik TH CMOS ADSR Panel/PCB" to the cart because the product is out of stock. 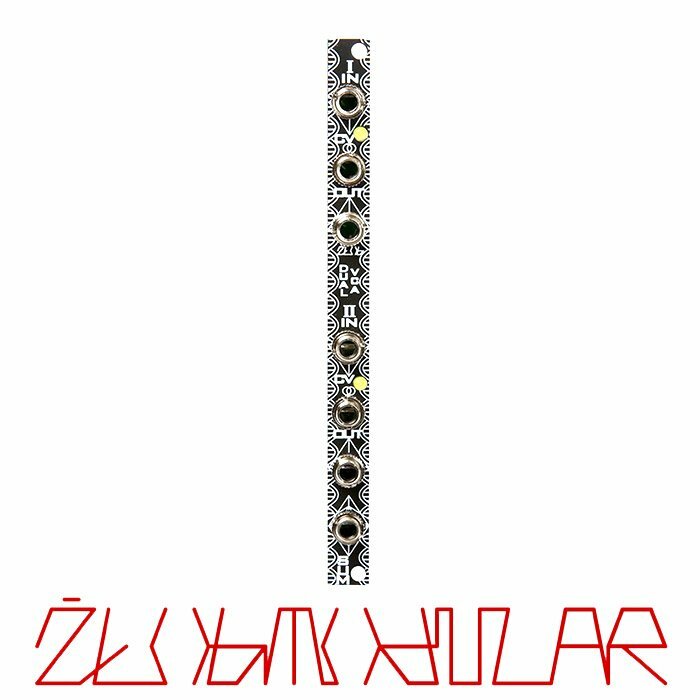 We’ve been waiting patiently for some versatile logic options in Eurorack DIY and then three come along at once! 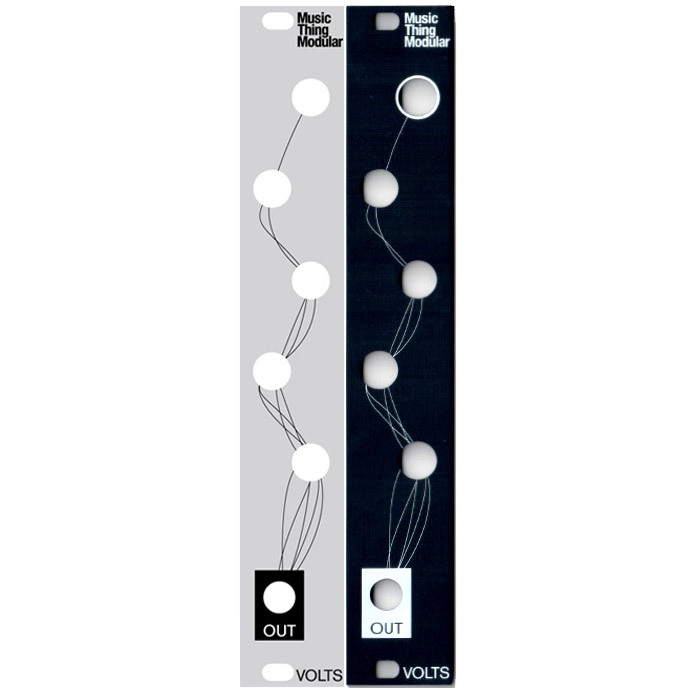 This comprehensive suite of Logic modules will have you creating complex rhythmic patterns in no time at all and allow you to inter-modulate your clock and sequencer modules at yet deeper and mysterious levels! Discrete XNOR/XOR, XOR and NOT gates. The resistor-transistor based circuit design gives the module some interesting quirks thanks to the transistors thresholds and tolerances when playing around with different amplitudes, waveforms and frequency rates of the incoming signals, making it fun and useful to explore beyond typical logic gating duties, for example as an audio waveshaper/distortion. Two discrete NAND/AND logic gates. or one 4-input NAND/AND gate. Gate one has three inputs, the second has two. The inputs on gate one is normalled in a 1>2>3 fashion for efficient cable and time-saving patching. The inputs on gate two has also been normalled 1>2, with the AND out from gate one in turn being normalled to input 1 on gate two.